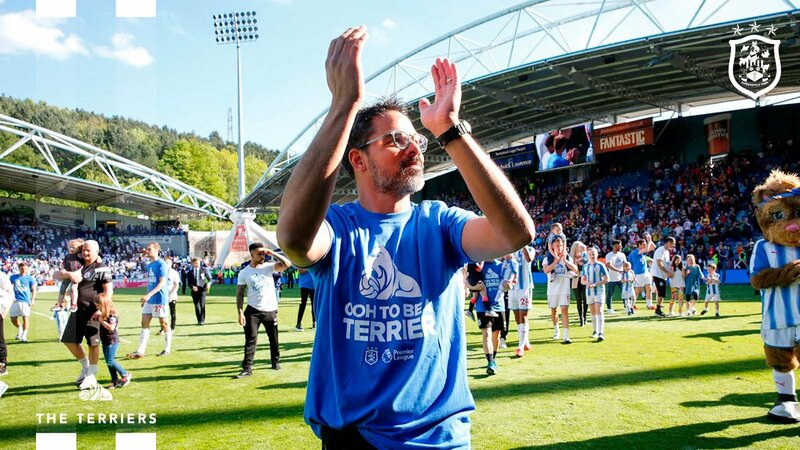 David Wagner right to leave Huddersfield Town? David Wagner will forever be remembered at Huddersfield Town for taking the club back to the Premier League after a 50+ year absence. Huddersfield survived relegation in 2017/18, surprising most. The manner in which they engineered the feat was even more surprising. Beating Chelsea and holding free-scoring Manchester City to a goalless draw in the campaign's final weeks astounded. If nothing else, their sense for the dramatic was Premier League quality. Doing it again is highly unlikely, however. The Terriers remain rooted to the bottom with just 11 points from 22 games. History is firmly against the club staying up at the end of the campaign. David Wagner must have seen the handwriting on the wall before deciding to leave. Wagner spent a fruitful three-and-a-half years with the side. Since the German-American took over in 2015, Town punched above their weight. Against all odds, the club won the Championship title in 2017, securing automatic promotion to the top flight. Then they stunned everyone by sticking around for a second season. Unfortunately, sufficient investment in players wasn't made. Although the club can still survive mathematically, the quality isn't there. Drastic measures are required to avert their doom. From the defence, to the midfield and attack, the team needs reinforcements. Signing 32-year-old Jason Puncheon, who could not hold down a starting place in the Crystal Palace team, will not do it. Palace are struggling themselves. Roy Hodgson needs all the help he can get. His castaways aren't Huddersfield's solutions. They need quality signings now. The situation is dire. 🧢 David Wagner reserves a final message for Town supporters. "As I leave #htafc, I want to say thank you. "Together, we have achieved unbelievable things; we made the dream of @premierleague football for Huddersfield Town a reality." Aaron Mooy's injury dealt a massive blow to the Terriers' hopes. The Australian is arguably the club's best player. His two goals helped secure one of only two wins earned this term. The former Manchester City man picked up a knee injury early in December that sidelines him until February. The 28-year-old has also been a big miss for Australia at the ongoing Asian games. Even if he was fit, he wouldn't have been available for the club. Huddersfield claim 13 league goals scored, lowest in the division, while conceding 37. This is what people refer to as writing on the wall. Wagner shares part of the blame, albeit a small part. The bulk must be placed at the board's doorstep. It's one thing to field a team that competes strongly in the Championship and secures promotion. It's a different kettle of fish when slugging it out with the Premier League money bags. You can't remain a minnow for long while swimming with the sharks. Wolves demonstrated how it must be done by signing Premier League quality players from foreign leagues to secure their promotion. The immediate task for the Terriers is to find a manager who can infuse confidence in the squad but that won't be enough. Money must be spent on two or three quality players to shore up the team before the January window closes. The new man must then win nine or ten of the remaining 16 games to have a realistic chance at survival. For his part, Wagner was right to leave. His batteries need recharging. In the summer, offers will come his way based on his achievements with the club. If he's learned anything from this season, it will be to choose a club that backs its manager.